Park City Mountain- With 300+ trails and 41 lifts, 8 terrain parks, 8 half pipes plus the many diverse ski-in/ski-out and village adjacent lodging properties, Park City is an easily accessible, world-class mountain destination located in an authentic and historic western town. A Travelplan consultant can assist you package your accommodation with flights, lifts & transfers for even greater savings on your holiday to Park City Utah. During Summer 2015, Park City Mountain undertook the largest resort improvement project in the history of American skiing, one that linked it with neighbour Canyons Resort to create the United States’ largest ski area with over 2950 ski-able hectares. Park City bustles with activities year-round with two distinct base areas, nine hotels, thrilling family adventures, and more than two dozen restaurants. The Caledonian next to Park City Resorts Town Lift, offers beautiful condominiums with spacious living rooms and dining areas, bedrooms with private baths, and cozy fireplaces. A leading hotel in Park City the Double Tree by Hilton boasts stunning mountain views and an outstanding reputation for excellent service. Rated a “Top Ski Hotel” by Conde Nast Traveler. 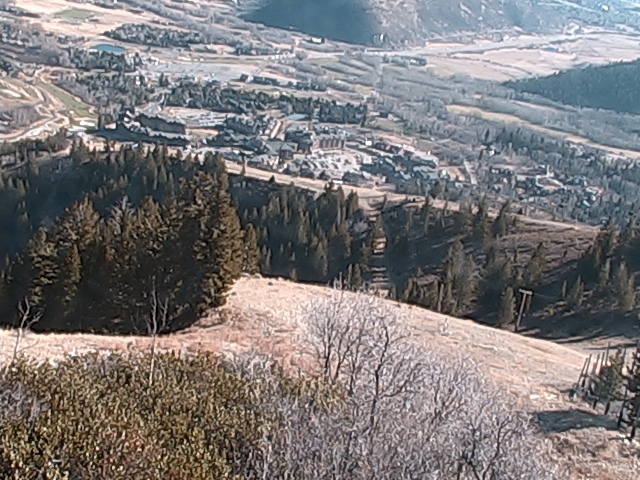 Only minutes from the resort with a complimentary skier shuttle to Park City. Lodge-inspired ambiance enhanced by wood-beamed ceilings, elegant furnishings and stone fire-places. Located in the heart of the old town, the Sky Lodge Hotel is within easy walking distance to the Town Chair Lift. This exclusive 33 suite hotel offers apartments with full kitchens, oversized bedrooms, lush bathrooms and first class facilities. Ideal location, just steps away from the Town Lift on Historic Main Street. Apartments feature a full kitchens and comfortable living room with gas fireplace, as well as a private washer and dryer. Excellent location, close to Park City lifts and buses to The Cannon, Deer Valley and Main Street. Skiing great and very varied, we like Deer Valley the best some great double blue groomed long runs. The accomodation itself is fine but the room is very noisy and am woken up in the morning by machines clearing the car park or light streaming through high windows that have no blinds. Restaurant are limited near accomodation but a bus ride away to main street have large variety of excellent options. Shopping ok on main street but expensive, went on bus to Tanger Outlet store which was excellent. Grocery shops also a small bus ride away. Chris organised for us accomodation at the Lift Lodge on Main Street - this was the most convenient location right beside the lift. The condo was also super quiet and really well appointed. I would certainly stay here again and will be travelling back to Park City again.